Listen to common Christian prayers - the Lord's Prayer, the Hail Mary, the Creed and a few others - in languages ranging from the most widespread ones to the tiniest and most exotic ones. 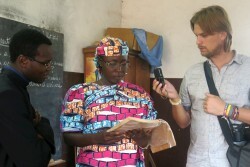 They were recorded during encounters with Catholic and Orthodox communities all around the world, in buzzing cities or far flung villages lost in the bush. They reflect the multitude of voices and ways in which we praise God. 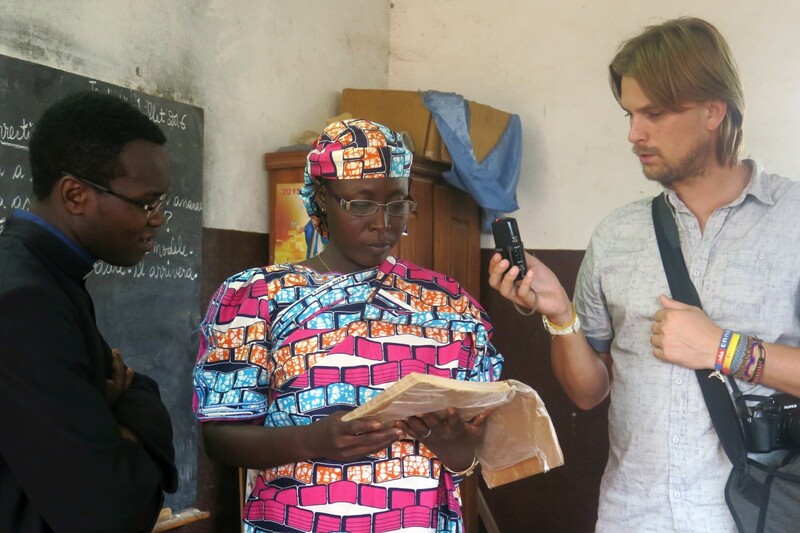 Browse the recordings in languages that interest you, or read more about the project and the stories behind it. 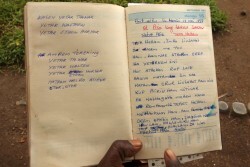 What started in 2008 with the first recording of Kinyarwanda prayers of my good friend, a religious sister, has grown over years into a large database of recording from the five continents of the world. This is one project where my love for languages meets a deep religious sense. I would record during my travels, volunteering or working as a lay missionary on occasions of sharing with local Christian communities. As time passed by, it would not be anymore me alone, who gets the recordings. A number of friends, both lay and religious, have helped me to grow this project by sending recordings from the communities they have met. Beyond mere recording and documentation, for me this project is about stories of Christians all around the world. Being myself from a country where for 40 years being a Christian meant exclusion and persecution, it means a lot for me to record and to talk to people about their faith in different countries, especially in countries where freedom of religion is not common. In other places being able to pray in one's own language meets the struggle of preserving ones mother tongue or preserving ones cultural heritage and identity. Working on this project would bring at times very strong moments and encounters. One that would pop up on my mind is looking for the Catholic church in the little town of Kyaukme, Shan state, Myanmar. Not obvious in a predominantly Buddhist country ... even less with only a rough hand-drawn map at hand. Finally getting to the place hidden in narrow streets of the outskirts of the town, we were welcome by a smiling parish priest and a religious sister kind enough to let us record with them in Burmese and chat about how is it like to be a Catholic minority and how well do they go along with the Buddhist majority. For years I was hoping to record prayers in Gàidhlig (Scottish Gaelic), but could not find any speakers. Then, upon my request on a Gàidhlig speakers forum, Daibhidh replied that he was open to record for me. To my great surprise he was not from Scotland, but from Canada. His family would pass the language on and preserve it ever since late 1700s, when they arrived to Canada from Hebrides. 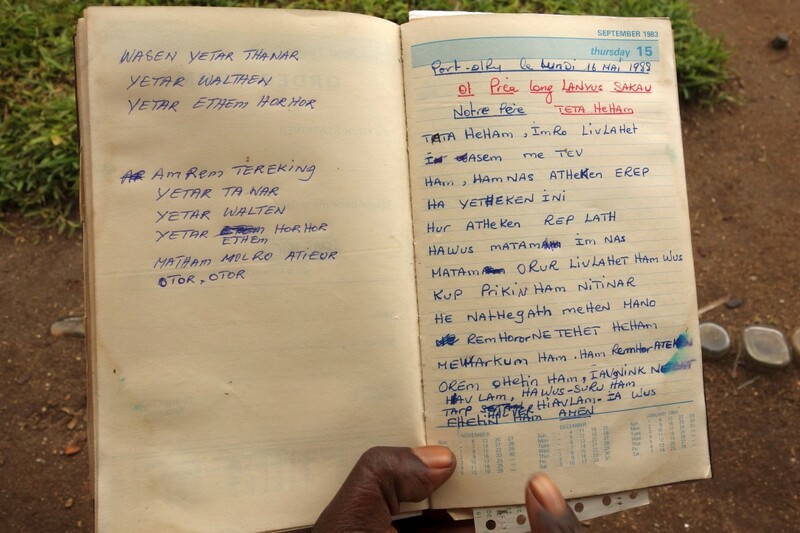 One can only wish other language communities in diaspora had the same attachment to their language. In the cathedral of Bertoua, eastern Cameroon, I had the great chance of meeting speakers of languages from the Cameroonian Far North, a place where I could not go myself due to the Boko Haram insurgency. The community was composed mostly of women residing in Bertoua for security reasons as their husbands were serving as military and fighting Boko Haram in the north. 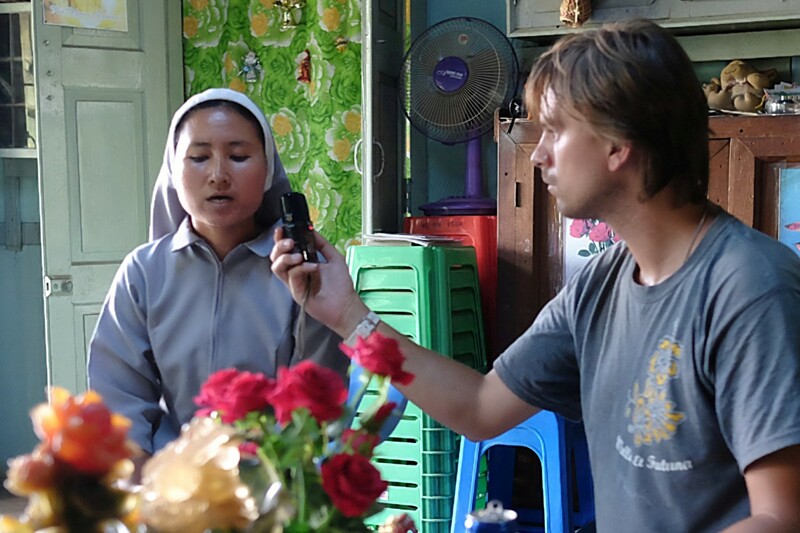 For me the takeaway of this encounter were beautiful recordings of prayers in Tupuri (listen especially to the Creed), but even more important were the deeply human and touching stories of their struggles and hopes for peaceful life in their region again. Having served for years as a lay missionary on Vanuatu in South Pacific, I had the chance of meeting many communities in this world's linguistically most diverse country. Apart of sad stories of language loss brought by the globalization, there were many wonderful moments and strong testimonies too. One of them was definitely meeting the catechist Donatien, speaker of the Daakaka language of Sesivi. A few steps from his house there lies the tomb of Jean Baptiste Kaynas, the first Catholic of then New Hebrides, baptized in 1894. Donatien is his grandson. He showed me proudly a treasured black and white photo of his grandfather and shared with me his life story. Really, it does not happen every day to hear prayers in a local language from the very grandson of the first Catholic of the country. Feel free to copy and use the texts of the prayers displayed here as long as you cite dominicweb.eu as the source. Before using the audio recordings for anything else than your personal study, you will first need to obtain my written permission. 133 languages recorded in this project are spoken in 157 countries and territories of the world (as native or official language). They cover 22 language families (and language isolates) and they use 18 different types of scripts. 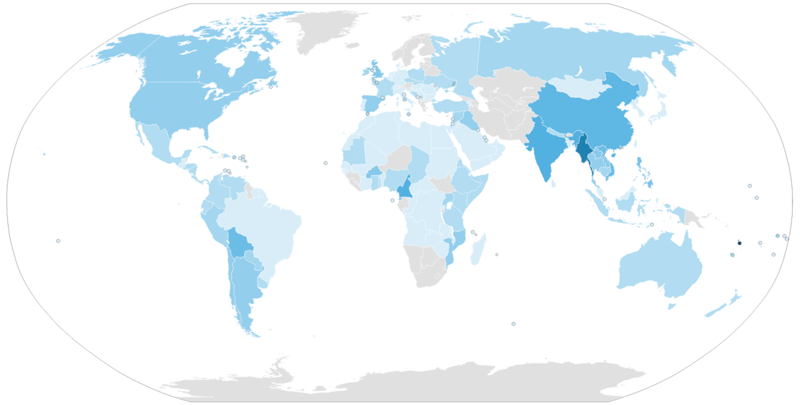 They represent mother tongues of approximately 55,4% of world's population.